- Sugar cookies with royal icing. - 2-4 cookies per person. - Up to 4 Icing colors (plus white). - Up to two cut-out shapes. - Learn buttercream basics, stars, dots & writing. 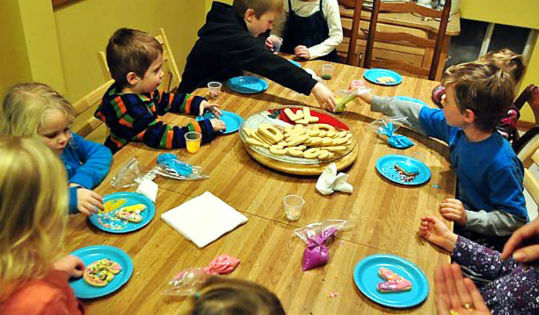 - 2 round cookies per person to decorate.